Welcome to Chateau Soulac. Located in the Bordeaux region of France, Château Soulac is elevated above the Dordogne river and has lovely sweeping views of the surrounding area. It is approximately 30 minutes from St. Emilion, with easy access to both Bergerac and Bordeaux airports. We feel it is a real privilege to host a small number of weddings every year. 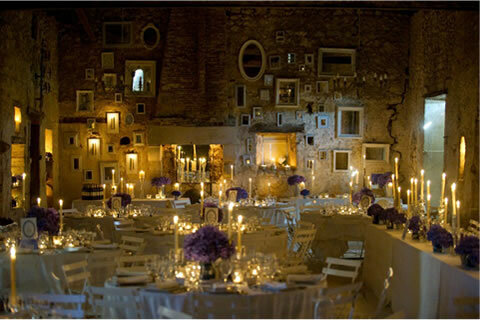 We have our own ‘in-house’ wedding planner so you can be assured of an individual and attentive service. Our wedding package includes a minimum 4 nights accommodation around your wedding date to give you time to truly relax and enjoy the whole experience. 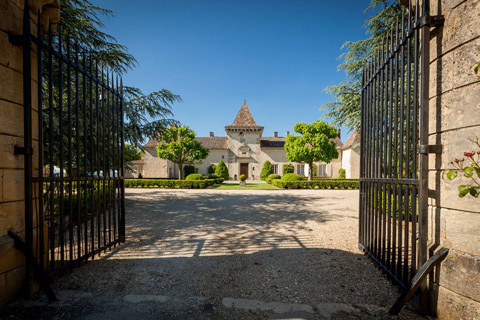 Château Soulac is perfect to rent for friends and family get togethers. We have large grounds and nicely proportioned entertaining spaces while the configuration of our accommodation allows for all of your party to have their own space. Between the main château and its three apartments, Le Soulac sleeps up to 22 people. There are several entertaining spaces within the main château, including the 'chapel' winter dining room, the summer dining room with conservatory doors, a large modern family kitchen/dining area and a salon. The library/study area, TV room, open fireplaces and underfloor heating add to the excellent amenities offered. Set amongst the 8 hectares of grounds are woods, a hard tennis court and a swimming pool within a walled surrounding. Château Soulac is located within the jurisdiction of Juillac, standing on top of a natural rock formation overlooking the Dordogne river and valley. Originally called Château du Soulat, it is a fortified residence of the 17th century, having originally started as a 14th century monastery and chapel.